The chargeback process is costly, confusing, and time-consuming. 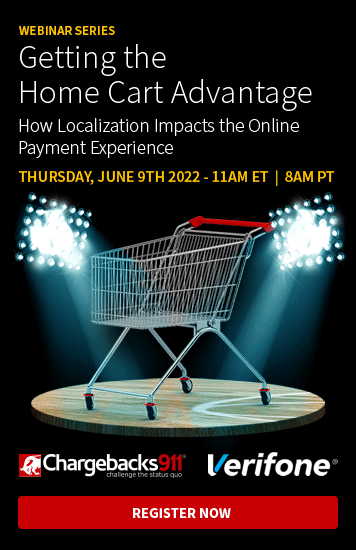 There are challenges for everyone involved, and merchants might just have it the worst of all. Fighting a chargeback is hard…but winning a chargeback dispute is even harder. To stand a chance, you’ll need to have a firm grip on how the process works. In this post, we'll examine the chargeback process from beginning to end, plus some of the roadblocks and challenges you might come up against along the way. What Makes the Chargeback Process So Difficult? When we talk about the chargeback "process," we're talking about each step between the initial dispute and final chargeback resolution. Everything from the initial customer complaint all the way through arbitration and long-term effects is included in this process. Cardholder: The owner of the card involved in a transaction. Merchant: The party who sold the goods or services being disputed. Issuer: The bank who issued the card to the cardholder. Acquirer: The bank tasked with acquiring payment on the merchant’s behalf. Card Association: The card brands (Visa, Mastercard, etc.) who oversee the process. There are other parties involved as well, such as processors and gateways, but for now we'll stick to the primary participants. The chargeback process is subjective. Ultimately, the outcome of each chargeback dispute is determined by humans, who are largely free to interpret regulations and issue judgments as they see fit. The chargeback process is outdated. Chargebacks were devised in a pre-internet era. Regulations don’t adequately address modern threats, technologies, and capabilities. The chargeback process is easy to abuse. Banks operate under the assumption the customer is always right. This turned filing a chargeback into a no-hassle solution for consumers: one that's generally easier and quicker than dealing directly with a merchant. The chargeback process burden rests mostly on merchants. For most merchants, the sheer amount of resources needed to fight chargebacks leads to minimal ROI. With no other recourse, merchants feel they must accept chargebacks as a cost of doing business. The concept of the chargeback system is relatively simple: if a Cardholder has an issue with a transaction that cannot be resolved dealing directly with the Merchant, then said Cardholder can appeal directly to the Card Network. Easy, right? That's an illustration of the most clear-cut chargeback process ... as if that's not confusing enough. In the next section, we'll go over the steps in more detail, point out some of the places where the simple path can be interrupted, and explore some of distinct challenges Merchants face at each point. Chargeback Process? Or Obstacle Course? Of course, the chargeback process isn’t all bad; the system does give you ample opportunities to fight back against illegitimate chargebacks. But for every opportunity presented, there are myriad obstacles that make fighting chargebacks more challenging. As we go through the process, we'll be pointing out different challenges you may face at each step. We should also point highlight that what follows is the traditional litigation-based chargeback process. The new Visa Claims Resolution initiative changed the Visa chargeback process significantly, filing disputes into “allocation” or “collaboration” workflows. However, any chargebacks filed for the collaboration process will still undergo a litigation-based dispute. 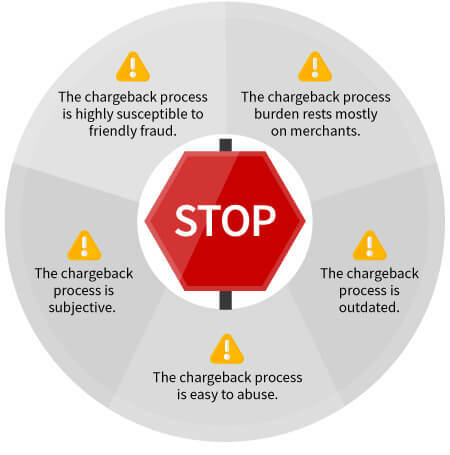 Merchants should understand that every step of the chargeback cycle offers specific challenges that can make the process considerably more convoluted. The process starts when the cardholder challenges a transaction by contacting the issuing bank. 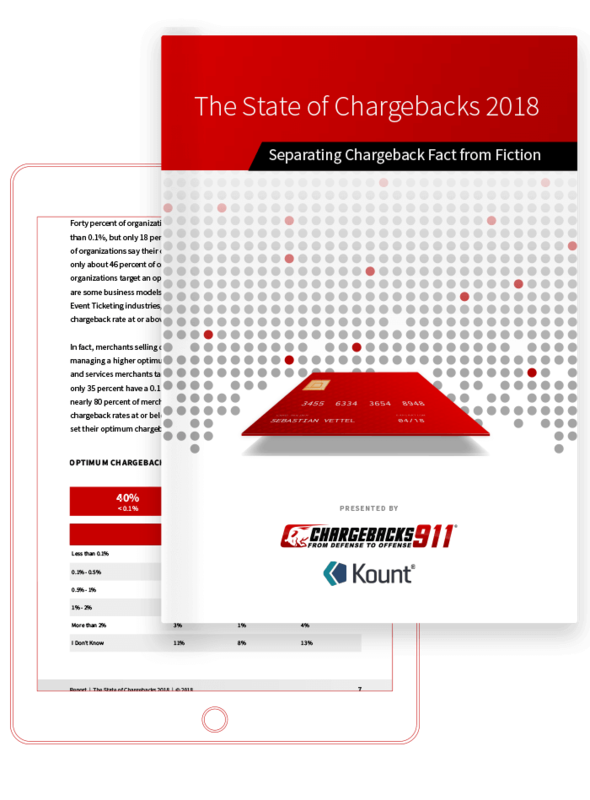 Each individual transaction presents a separate potential chargeback: if more than one transaction is in question, multiple chargebacks may be filed. To make things more complicated, a chargeback can also be initiated by the Issuer. This is referred to as a bank chargeback, and may be caused by late presentment, duplicate processing, an expired card, or merchant fraud. In this case, the issuer files the chargeback, and the acquirer handles the representment; the cardholder may never even know of the dispute at all. The Issuer reviews the request. If the bank determines the claim is invalid, the chargeback will simply be declined. If there is an indication that an error occurred, the case will proceed through the chargeback lifecycle. At this point the issuer is deciding based solely on the cardholder’s claim and available transaction data. Of course, even the most impartial issuer is naturally inclined to see things according to the cardholder's point of view, as the cardholder is their customer. A conditional refund is issued to the cardholder. The merchant's account is debited the amount of the original transaction, along with any applicable fees. You may have no knowledge of a chargeback until the funds are withdrawn. This can catch you off-guard, leading to significant financial strain and cash flow issues when funds suddenly and unexpectedly disappear from your account. The issuing bank assigns a numeric reason code for the chargeback, then electronically transmits all the chargeback data to your acquirer. Theoretically, chargeback reason codes help you understand the cause for the chargeback and determine the best way to validate the original transaction. However, reason code intelligence isn’t as helpful as it should be. Banks assign reason codes based on cardholders’ claims, making it easy for the bank to be deceived into facilitating friendly fraud chargebacks. Then, without understanding the true chargeback trigger, you can’t deploy the proper dispute or prevention tactics. Your acquirer reviews the refund request. The acquirer will either resolve the issue on their own, or will forward the claim to you. You already have your hands full simply running a business. With all the other tasks of day-to-day operations, it is easy to miss or set aside a chargeback notice. This can cause major problems, as dispute notices come with strict timelines. The merchant has the option to accept or dispute the chargeback. Disputing illegitimate chargebacks is essential, as it is the only way to repair your reputation with the issuing bank and (hopefully) prevent future chargebacks. Disputing the chargeback requires specific documentation in compliance with representment requirements. This may include a copy of the return policy, signed receipt from delivery, or dozens of other pieces of documentation. Unless you’ve organizing every document in meticulous order for each transaction, collecting evidence could be a struggle. You will submit your response, along with supporting evidence, to the bank. This is what’s called “representment,” because you’re literally re-presenting the transaction to the issuer. Unfortunately, the time limit for your response is short, the requirements can be complicated, and the exact process and nomenclature is different for each card network. The issuer rules in your favor. Your representment case sufficiently validates the original transaction. The transaction amount is again charged to the consumer’s account, and the funds are returned to your bank account. The issuer rules in favor of the cardholder. Your "compelling evidence" didn’t convince the bank to reverse the chargeback. The issuer’s stands, unless you choose to pursue arbitration. The merchant wins, but the issuer files a second chargeback. The issuer has the right to file a second chargeback, (called a pre-arbitration chargeback by Visa) for the same transaction. Reasons for a second filing might include the discovery of new information or a change of the reason code. If there is one thing worse than a chargeback, it's a second chargeback. These are referred to as pre-arbitration by Visa, and as an arbitration chargeback by Mastercard (confused yet?). No matter which card scheme, though, they increase the costs and other resources needed for the first representment, driving down your ROI. 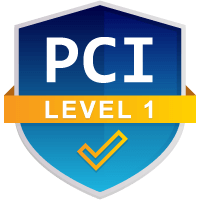 Learn about our advanced chargeback prevention methodology and our ROI guarantee. This flowchart offers a visual representation of the chargeback life cycle. Without the proper tools and techniques, inadequate representment efforts can actually increase risk and costs. But perhaps more importantly, disputing chargebacks means constantly fixing old problems. Sustainability comes from focusing on future growth, not addressing issues of the past. As we noted earlier, if any party is unhappy with the outcome of the chargeback process, the dissatisfied party may opt to pursue chargeback arbitration, drawing out the process even more. To ensure the most efficient use of resources, it's best to avoid arbitration whenever possible. Arbitration is handled by representatives from the applicable card network, and not surprisingly, this process involves additional fees, regulations, and responsibilities. That’s why it's essential that you craft the most efficient, persuasive, air-tight representment case possible the first time. Given the complexity and inconsistency of the chargeback cycle, there are any number of places where you might stumble. Without the right management techniques, you could actually increase risks, costs, and liability. Chargebacks911® offers the most comprehensive chargeback management services and products available on the market today. Our end-to-end, multi-tier approach helps fight chargebacks today while reducing the risk of chargebacks in the future. Whether you need help in specific areas, or a turnkey chargeback management system covering the entire chargeback process…we’ve got you covered. Demand your free ROI analysis below.